Especially appreciated by Chinese tea connoisseurs. 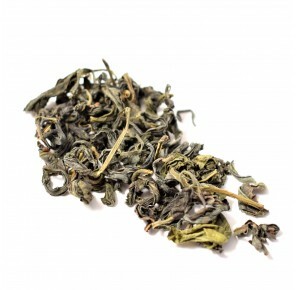 The leaves of this fragrant oolong are harvested during Summer. Due to its invigorating character it is best suited for a morning drink. In order to fully appreciate the beauty of delicate leaves, which begin to open during brewing, it is recommended to serve it in glass dishes. are not an ordinary kind of teas, but a glorious exception within the tea world. One of a kind, from the very beginning crafted personally by Mr. Toshifumi Shibamoto. They are his original creations, excellence of which is the result of over ten years of his hard work. No similar teas exist neither in Japan, nor anywhere else in the World. The closest reminiscences can only be found among excellent Taiwanese pan-fried teas. Mr. Toshifumi Shibamoto is not an average gardener either. Though he cultivates tea bushes in the sunny foothills of the Makinohara mountain rage in the Shizuoka Prefecture, Japan, carrying on the work of both his father and grandfather, he has ventured much further in his passions of creativity and tasting. After finishing high school (specializing in Tea Cultivation and Tea Culture), he began studying Agriculture. Afterwards, he has spent a year in the Tea Industry Research Institute, studying the topic of soil fertilization. As an enthusiast, he was the first person of Shizuoka region to go to Nishiusuki, where for two and half a year he studied a unique method of the Kamairicha tea manufacture. He returns there every year, researching and creating new kinds of teas. His creative curiosity strengthens his passion of exploring in search of the best tastes, and the pure heart of a good person guarantees the highest quality of his creations. He has been deemed a "shining pearl" among tea manufacturers. An extraordinary personality, a man of honor and a lover of nature. The natural manufacture method of Kamairicha tea is different from the traditional Japanese method. 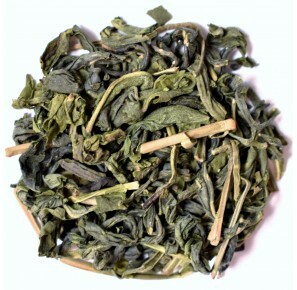 The latter consists of treating freshly harvested leaves with steam, producing a Sencha tea. The unique Kamairicha method assumes, that after harvesting, the leaves should be laid out on mats to rest. Afterwards, small quantities (~5-6 kg.) are roasted in a cast iron cauldron, in temperature ranging from 300 to 450 Celsius degrees. Such character of the Kamairicha method allows it to produce only small amounts of tea in limited batches. 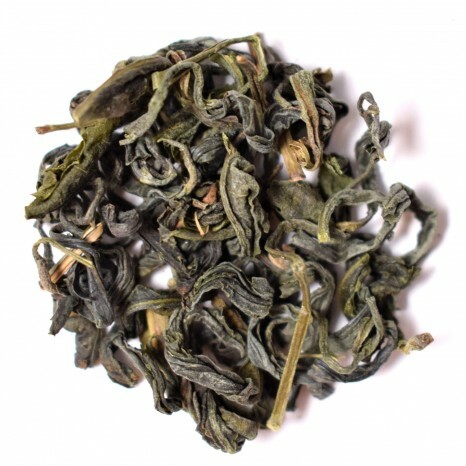 On the other side, thanks to such natural, manual treatment, the Kamairicha teas are more refreshing, have a gentler taste and are more subtle than steam-treated Senchas, with their more intensive green color and more expressive taste. The uniqueness of Mr. Shibamoto's teas is also the uniqueness of their place of origin. Mr. Shibamoto's tea bush leaves owe their richness of natural elements to their clean soil, fertilized all year long with natural goat fertilizer (from a small household farm, which began with one little goat called Sakura) and an alkaline organic fertilizer, all of which contribute to a healthy ecosystem rich in minerals. Obviously, drinking teas of Mr. Shibamoto equals tasting the clean and natural environment in which they are cultivated. After the harvest, Mr. Shibamoto lays out the tea leaves on mats and leaves them under the sunlight, near his garden. Only afterwards can they be manually kneaded and rolled, then roasted in a cast iron cauldron/frying pan with the old Kamairicha method. Enjoy yourself with a morning tea - it has an invigorating effect on the senses at the beginning of a new day. Pour hot water into a teacup in order to warm it up. Add 1 teaspoon (2-3g) of tea leaves for each teacup. Pour boiled water with temperature of ca. 95°C, cover with a lid and brew it this way for at least 2 minutes. Experience the deep taste and grace of Pouchong tea. Brew according to the instructions above, but use water with temperature of 80°C, and extend the brewing time to longer than 2 minutes. Put one spoon of tea leaves into a bottle, and pour 0,5l. of water in room temperature. Twist the bottle on, then delicately shake it several times during 2 hours. Drink and refill the bottle with water when it becomes half empty. Keep on refilling until the leaves are fully developed.